Plus the Magic: Disney Birthdays Abound! Walt Disney World's Magic Kingdom opened on October 1, 1971. 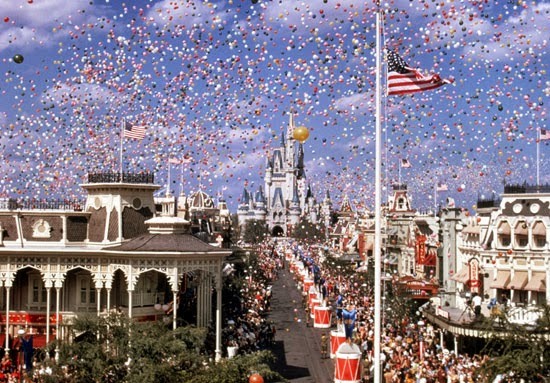 Happy 43rd birthday, Magic Kingdom! My beloved Epcot- or EPCOT Center, as it was originally known- debuted on October 1, 1982. 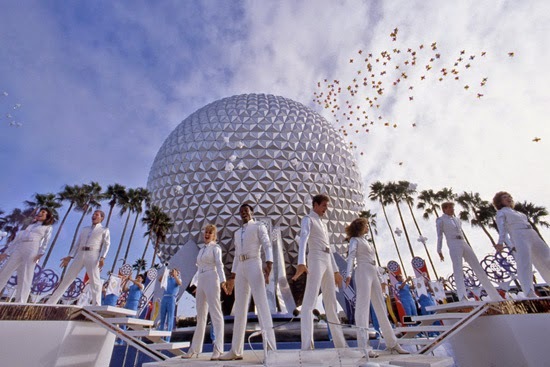 Happy 32nd birthday, Epcot! I'll be toasting in your honor later today. And another birthday? Let's not forget Julie Andrews! Everyone's favorite magical nanny is a beautiful and graceful 79 years old today. 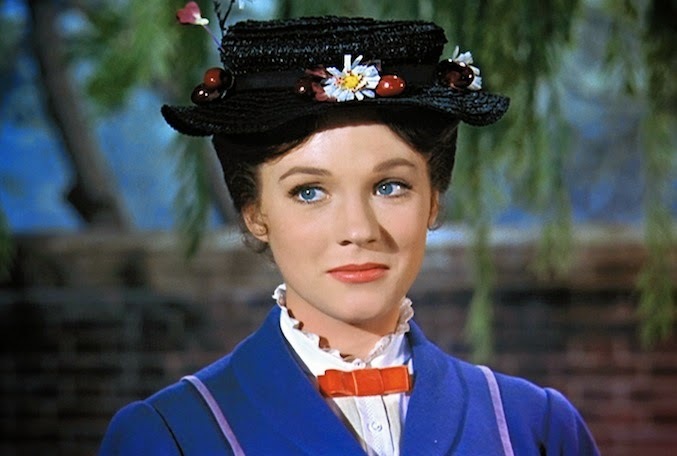 I have always loved the Mary Poppins character, and Julie Andrews is forever connected to her. A piece called This Day in History on the Disney Parks Blog shared some other special events that happened on this date. October 1 is the birthday of Disney's Caribbean Beach Resort (1988) and Disney's Boardwalk (1996), and it's also the date that Euro Disney officially became Disneyland Paris! Caribbean Beach Resort is 26 today. 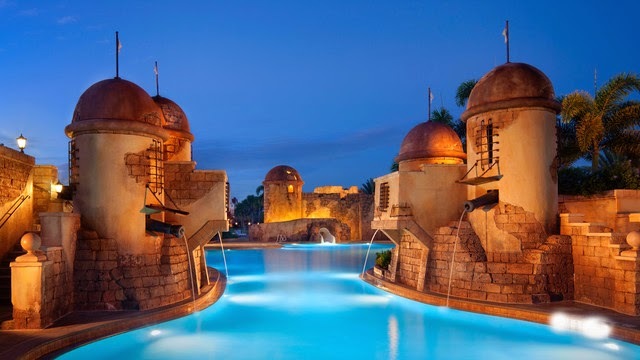 I'll admit, Caribbean Beach has never really been on my list of must-visit resorts... but this pool does look like a lot of fun. Have you ever visited? The Boardwalk...one of my very favorite places. 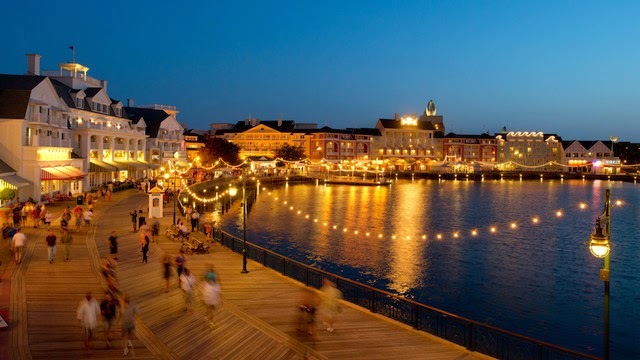 I think strolling around this area behind Epcot is one of the very best ways to spend an evening. Happy 18th birthday, Boardwalk! How will you be celebrating this day? Wow! I didn't know October 1 was so significant. AND...I'm shocked the Boardwalk is 18 years old already! I agree...a great place for an evening stroll.